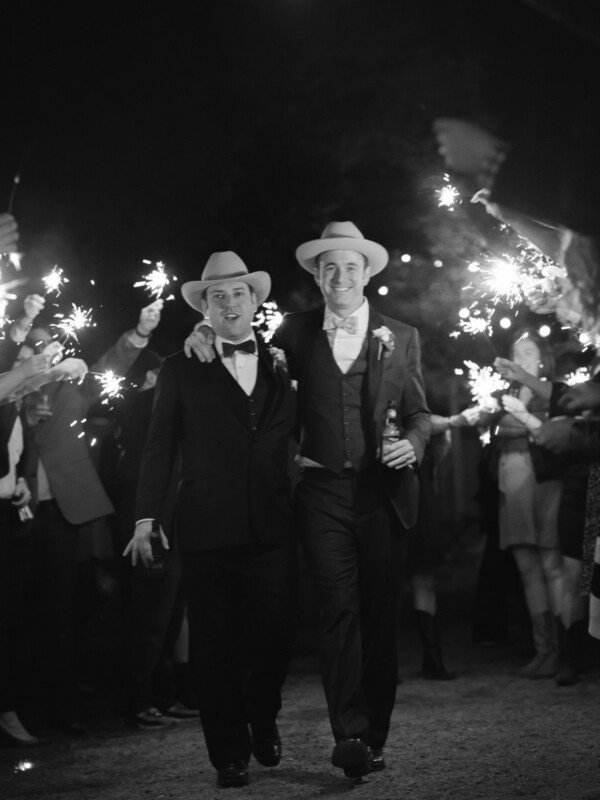 With catering by Franklin Barbecue set against the backdrop of the beautiful Treaty Oak Distilling Ranch, the wedding of “Tipsy Texans” David Alan and Joe Eifler is enough to turn any Austinite green with envy. It’d be an understatement to say the couple has connections. Alan and Eifler are both drink industry veterans, most well known for Tipsy Texan, a cocktail company started by Alan in 2007 that assists with business development and special events. 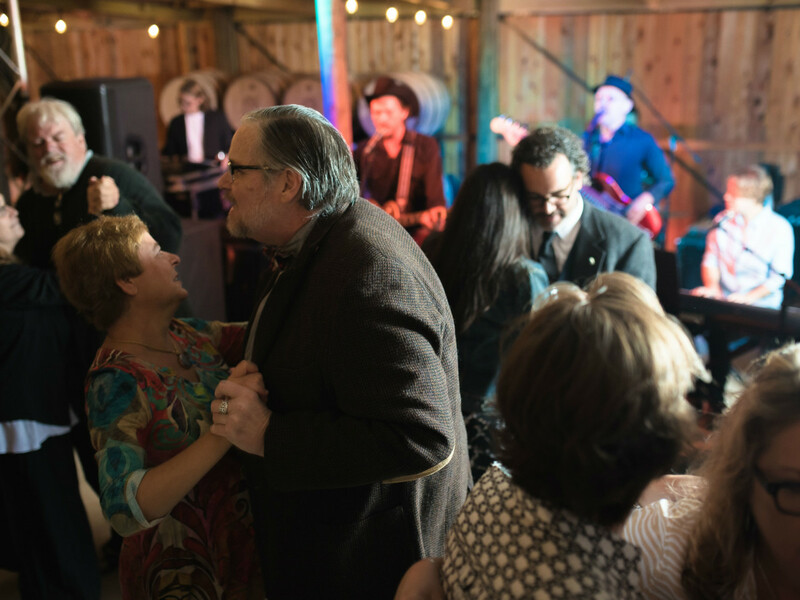 Just as Tipsy Texan has served as a bridge to the food and drink community of Austin, the company is also how the newlyweds initially met. Before you call up Franklin demanding smoked meats for your wedding, note that this does not just happen for anyone. This was a personal favor because of the long relationship between the business owners, and the Tipsy Texan sandwich just so happens to be one of the best sellers on the Franklin menu. But it gets better. In addition to the delicious ‘cue, desserts came by way of Olivia O’Neill from Sugar Mama’s Bakeshop and Amy’s Ice Creams. “I know that the goal of every wedding is to be a unique affair. Because of our involvement in the community for so many years, we were really able to pull together something that was very personalized for us,” says Alan. 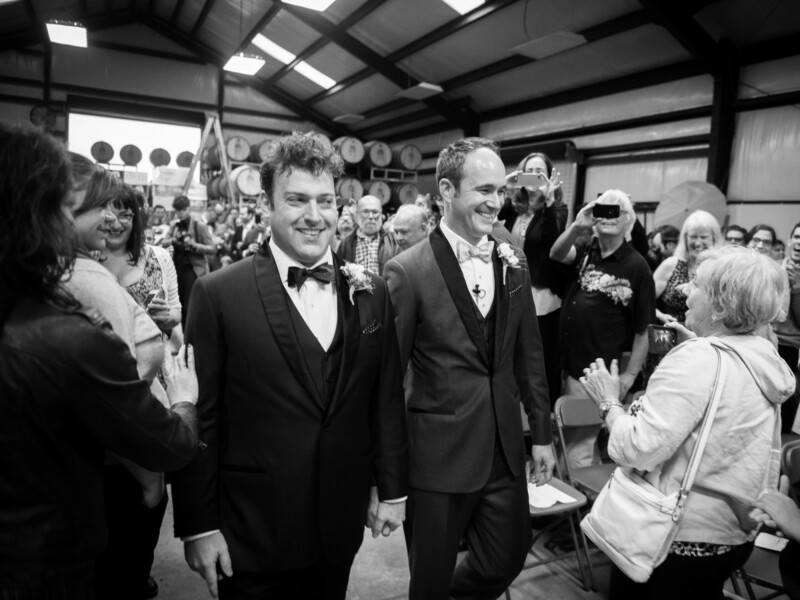 Bringing you an inside peek of this wonderful wedding, take a look through the celebratory photos above. 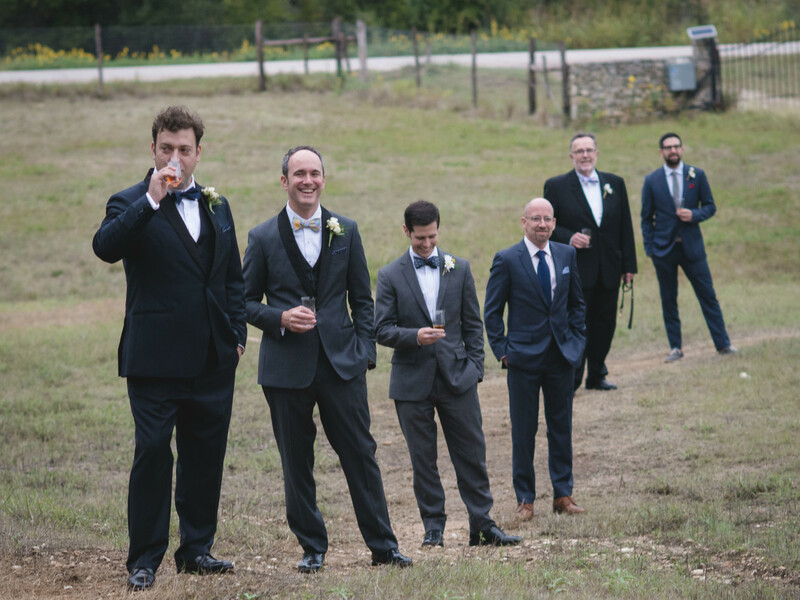 Alan, Eifler, and the groomsmen enjoy a drink before the ceremony. 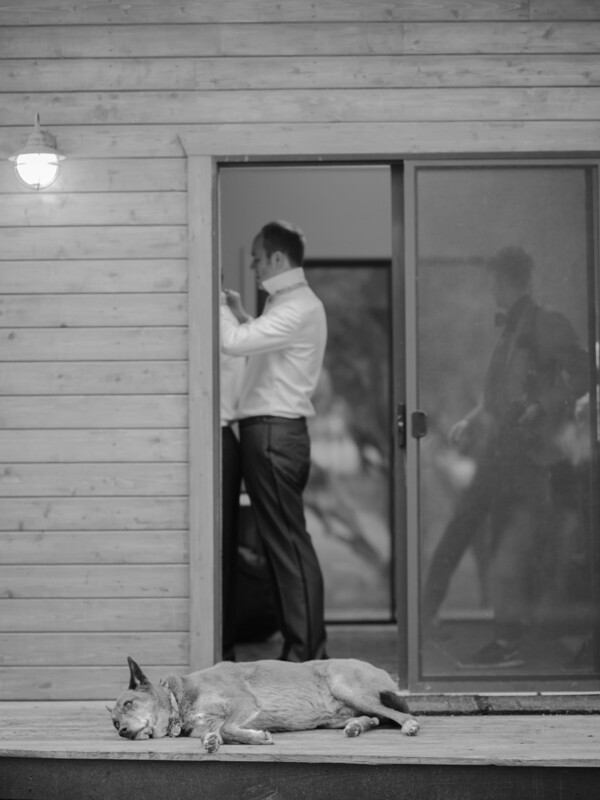 Tuxedos were made to measure by J. Kilburn with Marshall Wright serving as stylist. Eifler gets ready with trusty companion Jigger by his side. Guests enjoy a little ceremonious pregaming. 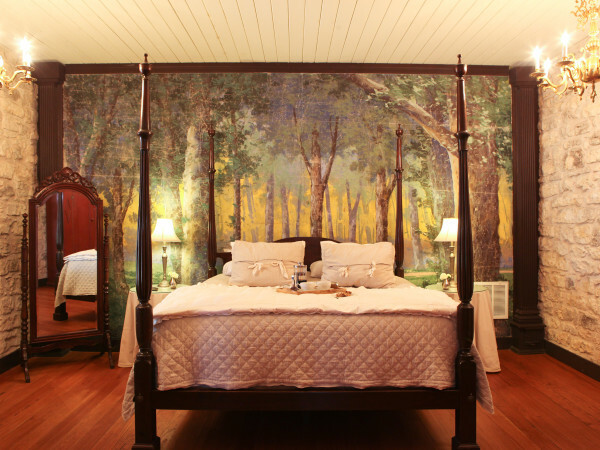 Because of the company's event background, most of the wedding was self-produced with the help of Tipsy Texan event planner Jessie Riley. 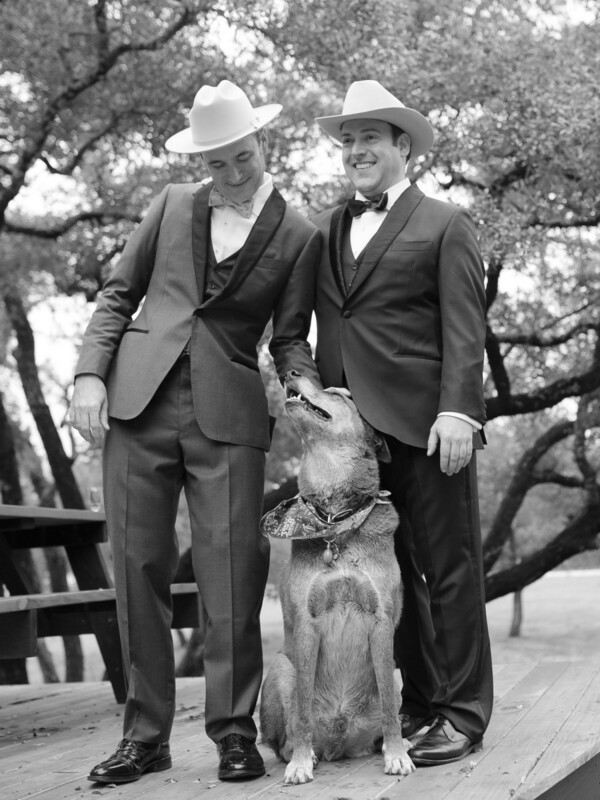 The soon-to-be husbands snap a family photo before the walk down the aisle. 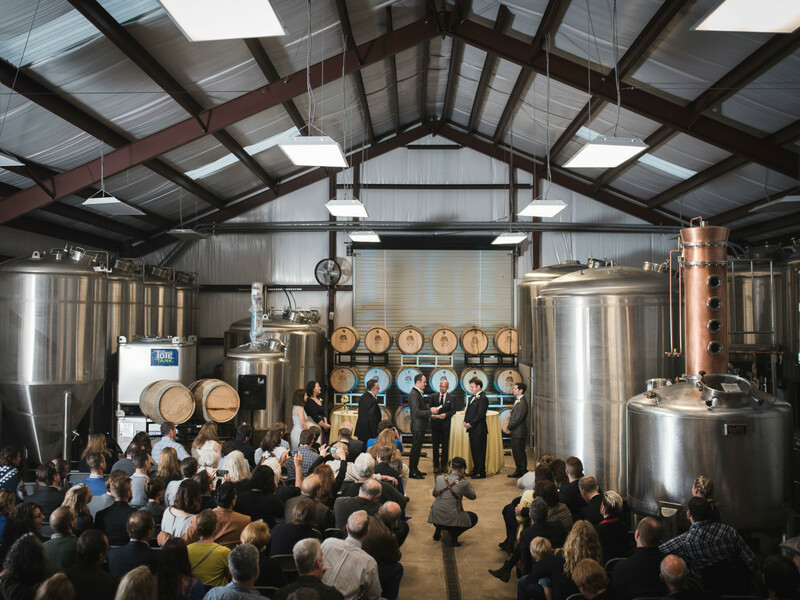 The couple exchanges vows in Treaty Oak's distillery, the first wedding to be held at the ranch. Alan and Treaty Oak founder Daniel Barnes have been friends and professional colleagues for many years. Joy and a sigh of relief for the newlyweds. 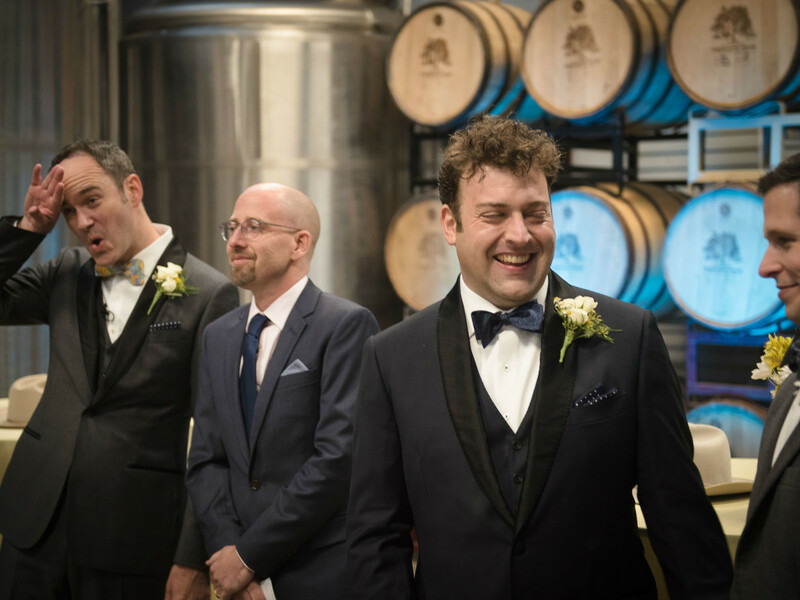 Austin mixologist Bill Norris (center) officiated the wedding. 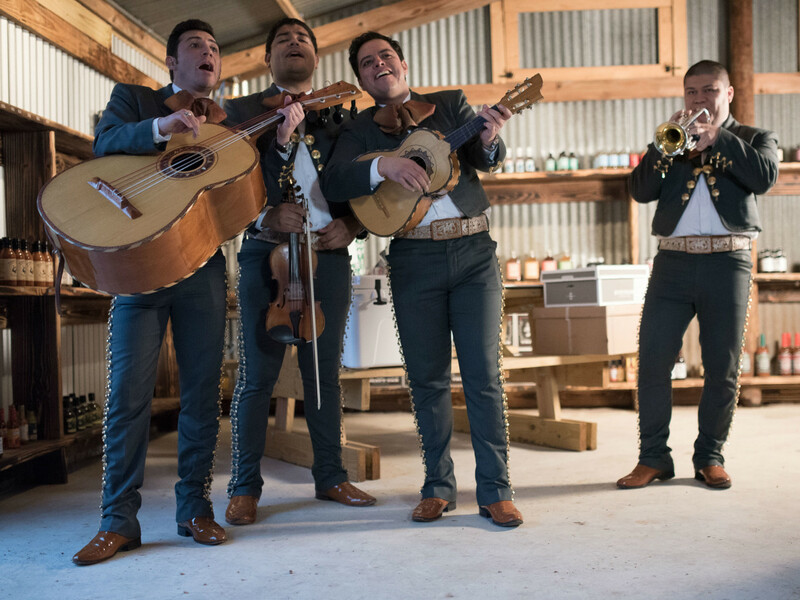 Mariachi Los Toros played before and after the ceremony. 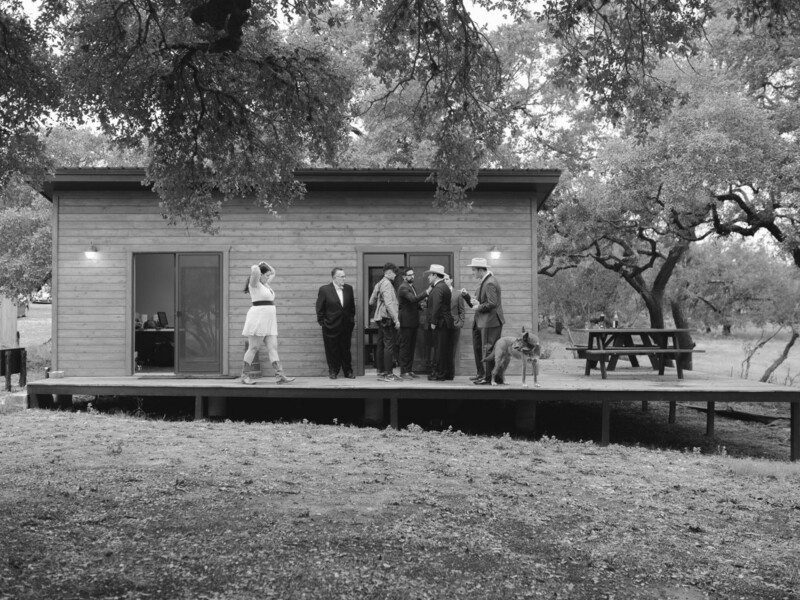 The Treaty Oak rickhouse served as the dance hall for the evening. Daniel Kuehm and the Atomic Picnic team ensured quality sound for the music and also provided lighting for the property. 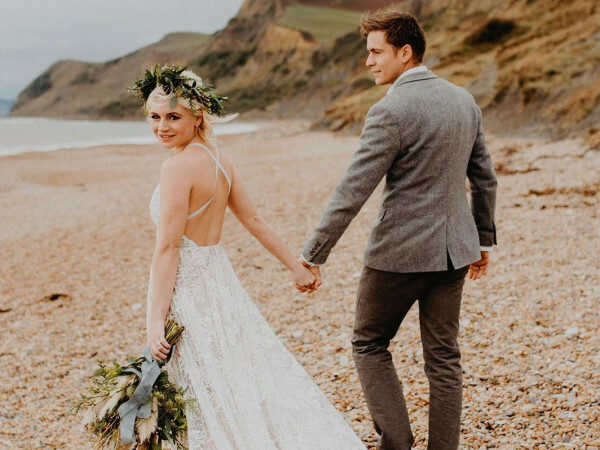 "Every element [of the wedding] had a special connection to us," says Alan. 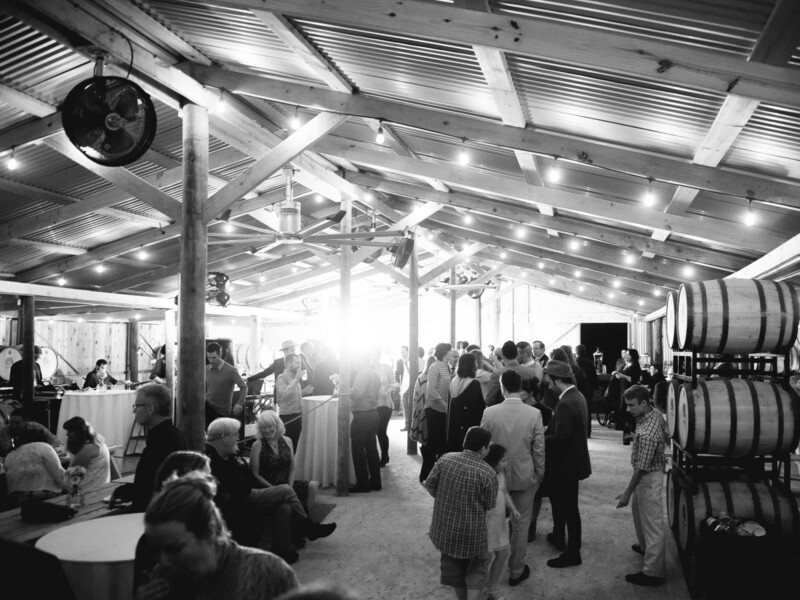 "From the mariachis (the leader of which used to work in the liquor business with us) to the photographer (whom I went to high school with and whose sister was in the wedding) to our officiant (one of the 'original' Austin cocktail bartenders), and most importantly the venue." 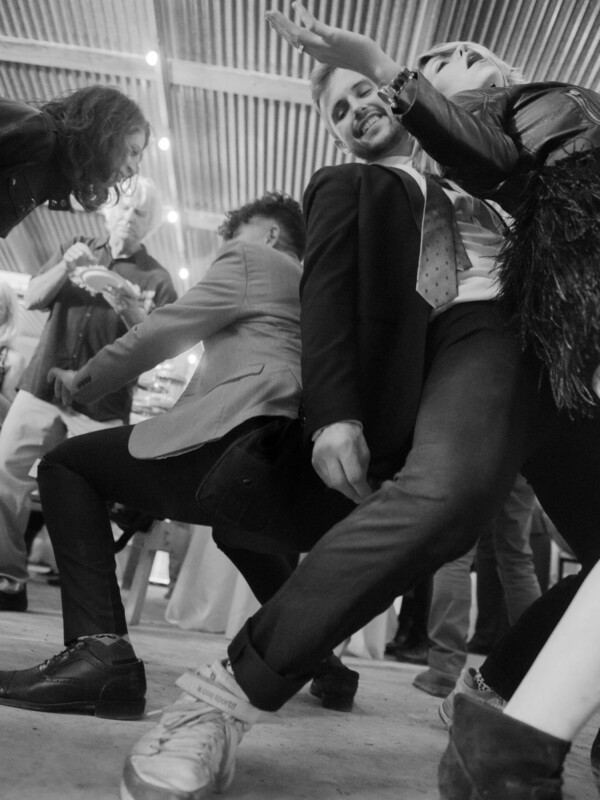 Guests bust a move on the dance floor. Country band Strahan & The Good Neighbors played during the reception and dinner. 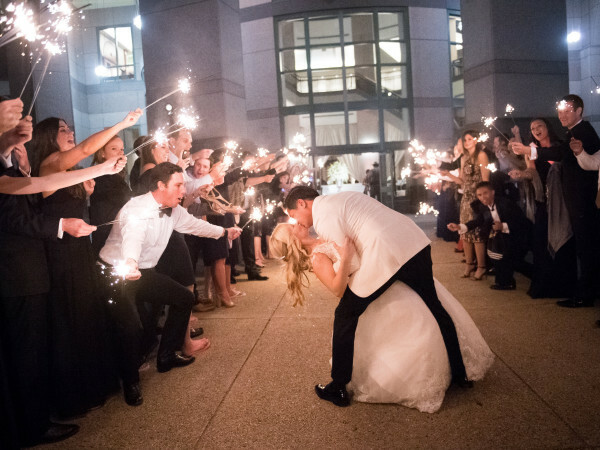 At the conclusion of the night, Alan and Eifler take a stroll surrounded by family, friends, and sparklers.